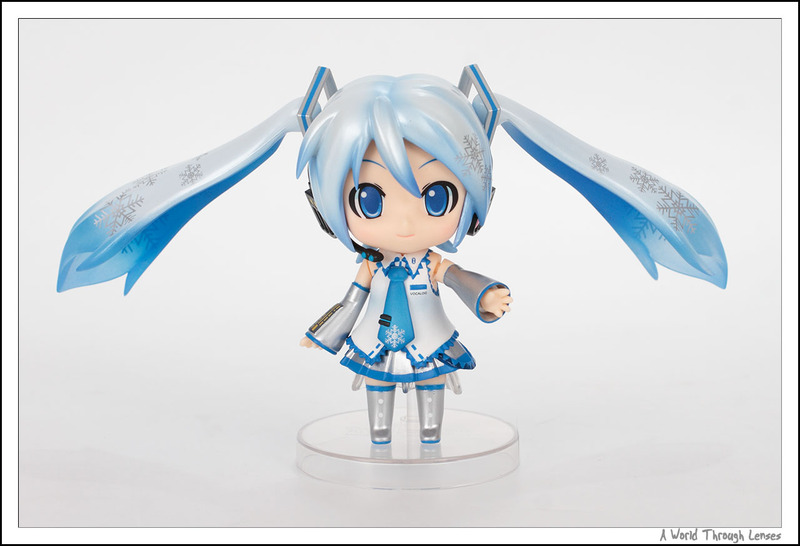 Snow Miku is basically a repaint of the Nendoroid Hatsune Miku with some transparent hair parts. 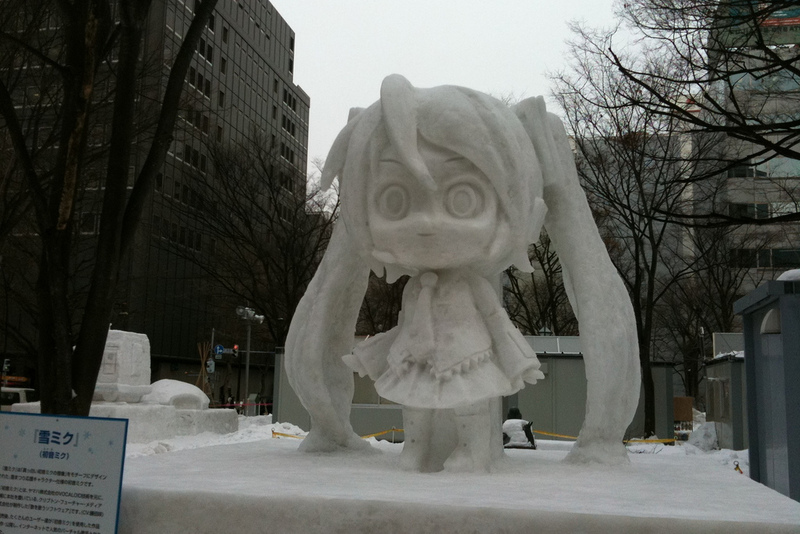 It is created in commemoration of the Snow Miku in the 61st Sapporo Snow Festival. 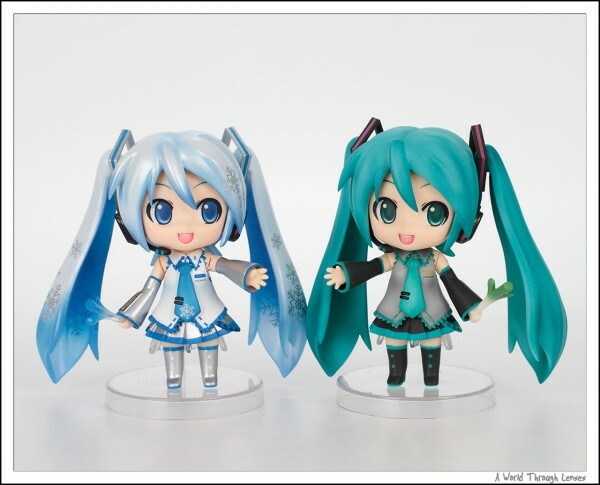 A Nendorid Puchi version was released earlier but this is the normal Nendoroid size. 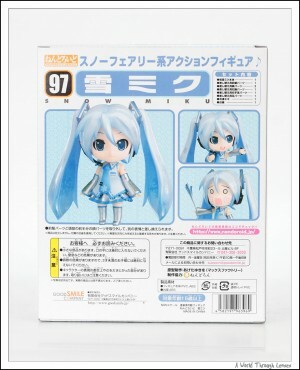 It was an event limited release in February 2010 during Wonder Festival 2010 Winter. 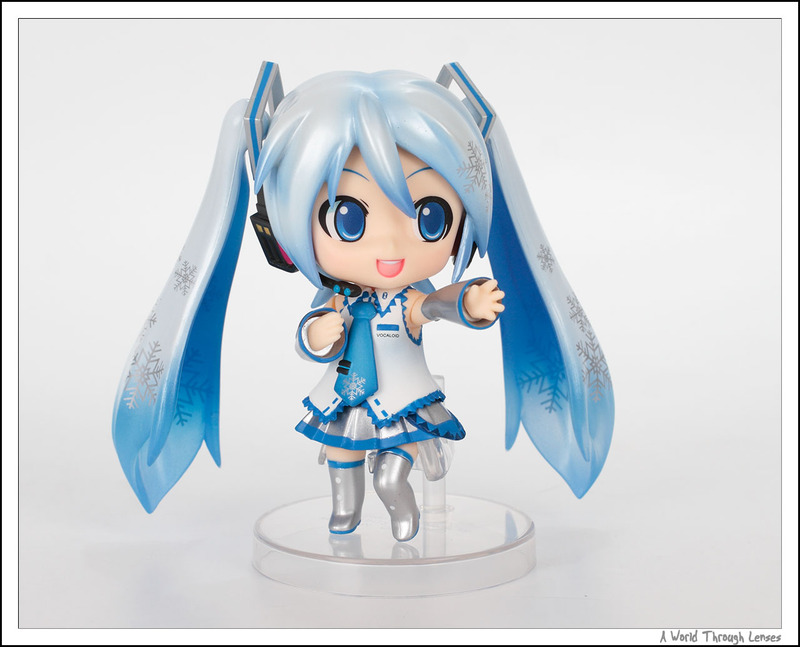 It was then available to order on the Good Smile Company Online Shop. 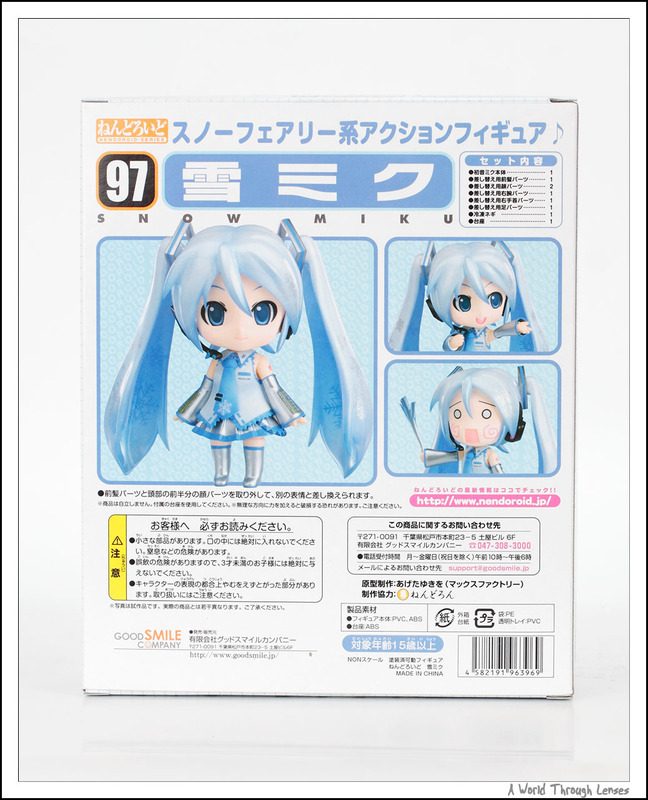 But being Good Smile Company Online Shop doesn’t take credit cards as the payment method and they don’t ship overseas, I had to get my hand on this by using Tokyo Hunter. 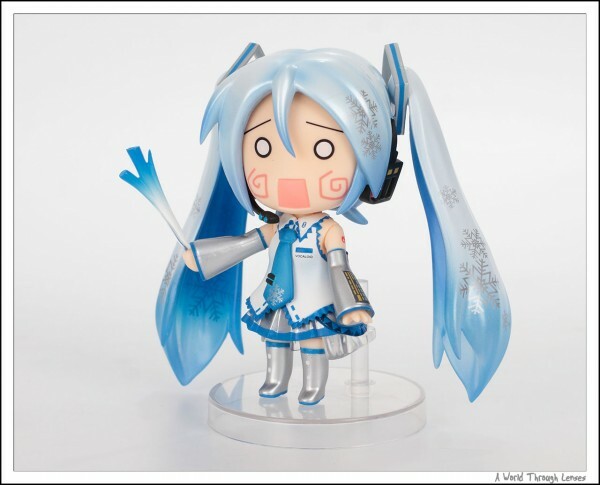 The price from Tokyo Hunter was actually very reasonable that I didn’t want to spend more time to find other cheaper ways. 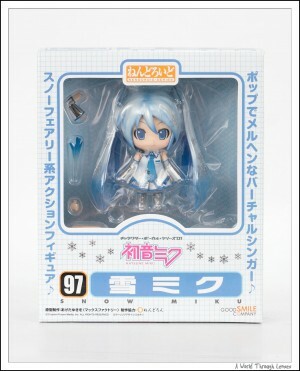 Nendoroid Snow Miku by Good Smile Company. (ねんどろいど 雪ミク). Original sculptor Ageta Yukiwo (あげたゆきを). 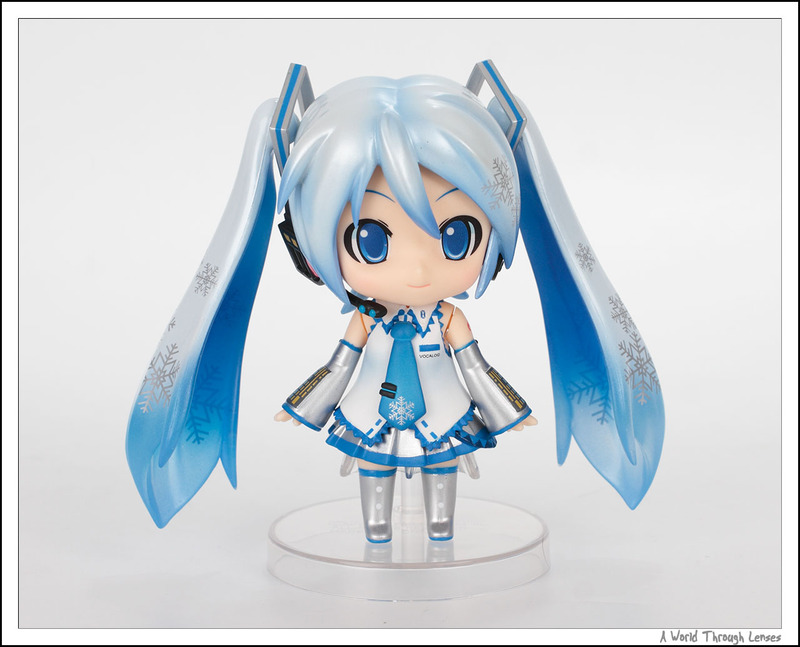 Limited released on February 2010, general release on June 2010 with MSRP of ¥3,000. 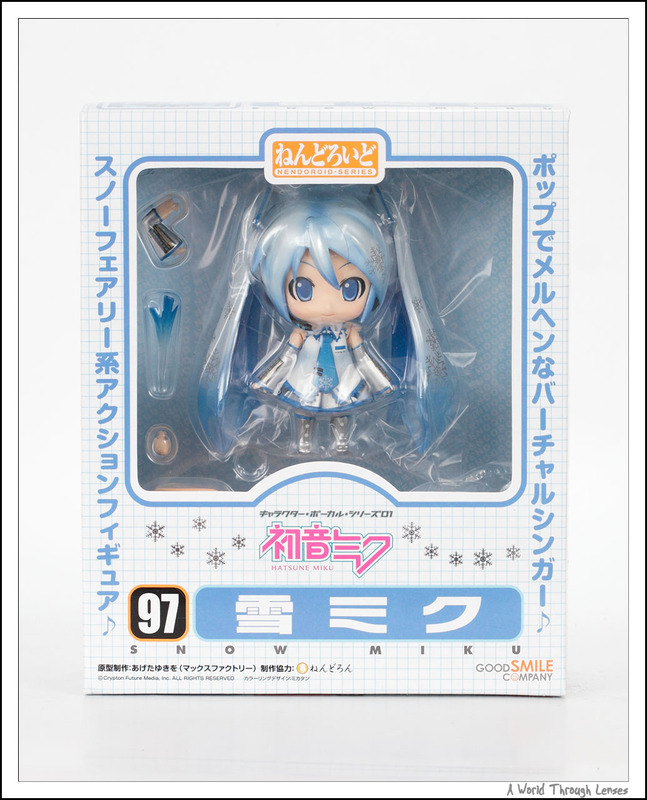 Here’s the Snow Miku out of the box. 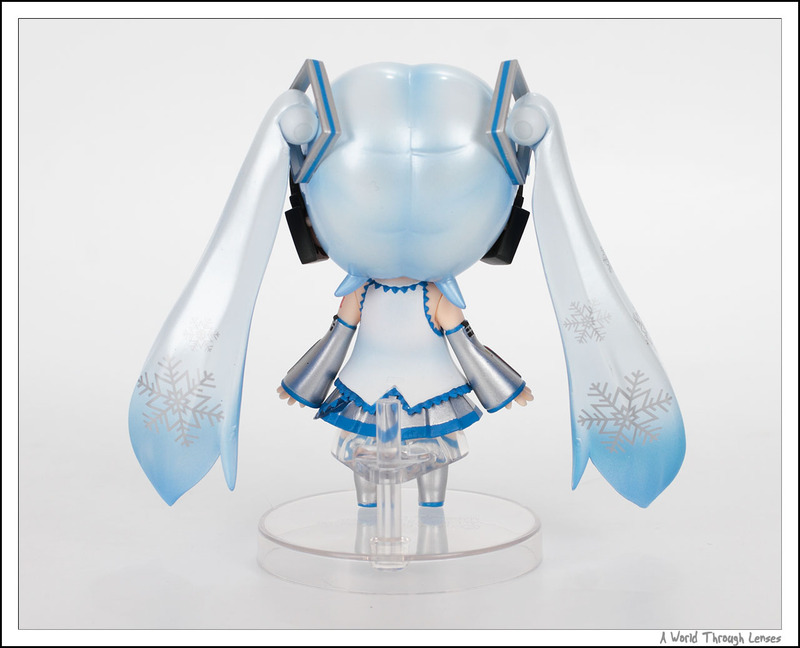 All the snowflakes printed on Miku’s transparent hair is really nice. On the back there’s more snowflake prints. The pearl paint finish on the Snow Miku making it really shinny. A bit too shinny at times for flash photography. Just like the normal Hatsune Miku Nendoroid, the Snow Miku’s hair is also posable. Comes with the singing face with different hand and leg parts. It also comes with the Hachune Miku face and of course the signature leek waving hand. Snow Miku and Hatsune Miku both in Hachune Miku mode side by side. 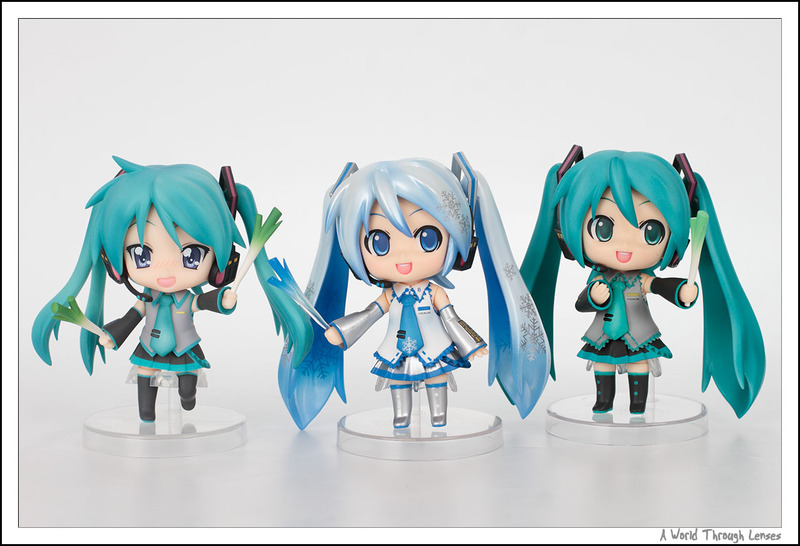 Another side by side of the Snow Miku and the Hatsune Miku together. 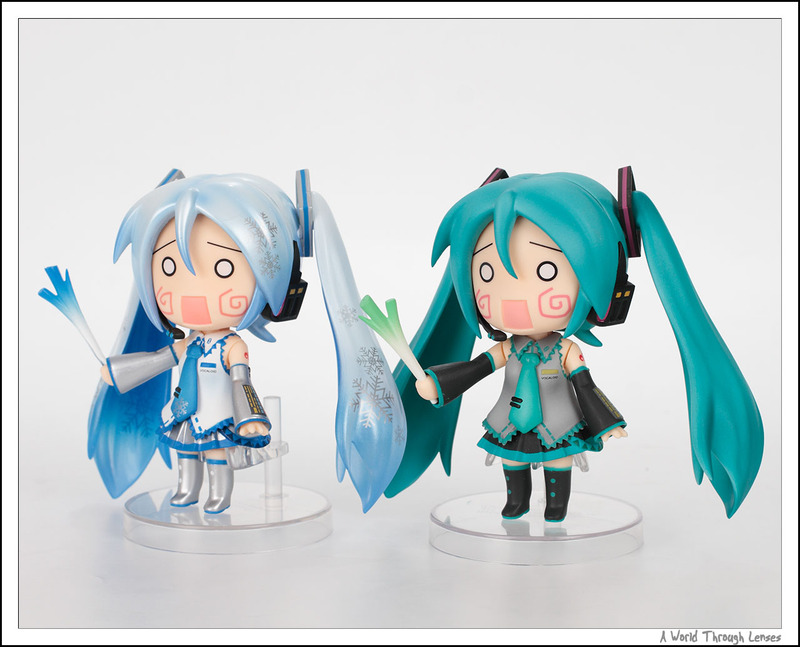 And if two leek holding songstress is not enough, there’s always more leek power by adding Mikkumiku Kagami in the mix with double the leek power. And here’s a photo by baritbeta of the Snow Miku sculpture at the 61st Sapporo Snow Festival.